Does it spin or does it just vibrate? This question is often asked by potential buyers of facial cleansing brushes. Some prefer rotary applicators, while others go for the pulsating action of a “true” sonic brush. If you’re here for the latter, then here’s a list of cleansing systems equipped with sonic technology. As sonic brushes, these beauty tools oscillate at a pre-tuned sonic frequency. 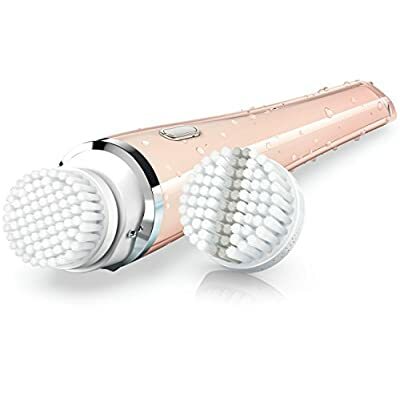 The back-and-forth motion of the bristles results in deep cleansing which according to Clarisonic is 6x better than washing with your hands alone. But not all these brushes are created equal. That’s why it’s important to go over their features one by one. Some have more brush heads than the others, but some are well-designed to give you unique and impressive features. Invented in 2004, the Clarisonic line comes in several models to choose from – the Mia 1, Mia 2, Mia 3 or Aria, Alpha Fit, Mia Fit, SMART Profile, and Plus. According to several users, there is a “purging phase” during the first few weeks of using Clarisonic. But after the breakouts, beautiful skin follows. Some of the best features of the Clarisonic include the following: inductive charging, T-timer, and variety of brush heads to choose from. The PureRadiance comes in a sleek and slim design. Advertised as the “only one in the world that has unique sonic technology with advanced dual motion,” this facial cleanser comes with multiple speed settings, a timer, and a drying pedestal. TOUCHBeauty has an array of sonic facial cleansers that you can choose from. This particular model, the TB-1487, is designed to deliver 17,000 sonic vibrations per minute. It has two speed settings, is powered by batteries, and comes with a stand. Read our review of the TOUCHBeauty TB-1487 here. 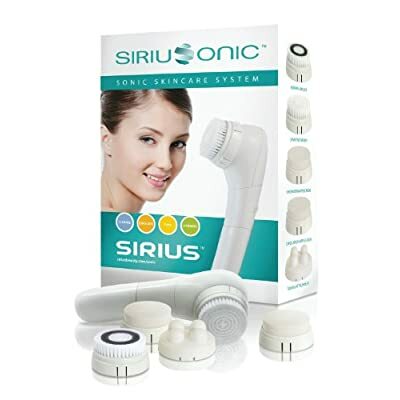 The Sirius Sonic Skin Care System is “sirius” about their brush heads. When you unbox your package, you should see 5 interchangeable brush heads that helps you cleanse, exfoliate, hydrate, and tone your skin. Read our full product report of the Sirius Sonic here. We said this before, and we’d like to say it again. We’re in love with the creativity of the Soniclear. They have the most attractive exterior, don’t you think? But more importantly, these sonic facial brushes are packed with impressive features. Two features that stand out include C-Boost and LIFE Antimicrobial Product Protection. Instead of replacing your brush heads after 3 months or less, you can replace them after 6 months. Here’s a chart comparing the models of Soniclear cleansing brushes. Equipped with antimicrobial technology, the Clinique Sonic Brush comes with a flat design featuring a tilted head. The bristles are divided into two sections, one has soft bristles and the other has firmer ones. This design allows for easy access to hard-to-reach areas of the face. We’ve reviewed the Clinique here. As advertised, the LuxeSonic brush has 30,000 soft bristles that work over 250 movements per seconds. The massaging action produced results in improved skin elasticity. It comes with four attachments. 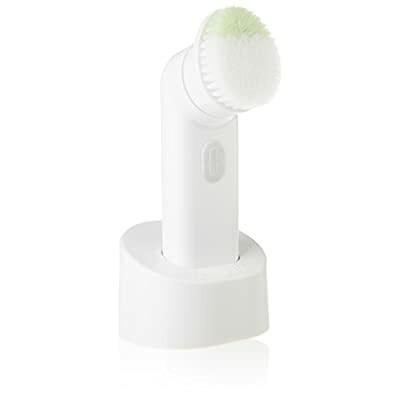 NOTE: We’ve also featured the LuxeSonic cleansing brush in our list of facial brushes with a cradle. The HealthPro Sonic Brush delivers 12,000 sonic strokes per minute. It has three speed settings to choose from – gentle, normal clean, and turbo. Other features include the following: Smart Technology, LED indicators, replaceable brush heads with DuPont bristles, BPA-free, and water resistant. It also comes with its own docking storage so you can display it nicely when not in use. Although this brush is water-resistant, the manufacturer strongly advises against submerging it in water. This comes with 4 brush attachments – a normal brush for daily cleansing, a sensitive brush for sensitive skin, a moisturizing sponge for applying your favorite cream, and a wrinkle reducer/massager. This facial brush rusn on batteries. Compare this with the SonicDerm SD-201.